SSDs are fast, reliable, and have no mechanical parts – which can break and cause drive failure – making them a logical choice as your primary system drive. If you’re thinking of buying a high-capacity SSD to archive data, however, you may want to reconsider. Currently, the capacity/price sweet spot for a solid state drive (SSD) is 250 GB. You can find blazing fast 250 GB SSDs all over the Internet for around $99. 250 GB is actually an excellent size for your personal computer. Think about it. How many mp3s do you have? Maybe you’re more a Spotify or Pandora person. How much space do all your pictures take up? Our guess is it’s not a quarter of a terabyte. Plus, you can always offload files to a cloud drive and de-sync to save local drive space. Even with our system and apps installed, our 250 GB system drive still has over 70% of its available capacity. Upgrading to an SSD is a pretty simple process. If you own a laptop, then you already have a 2.5″ HDD (or maybe just a smaller capacity SSD) in it. Thus, any SSD you buy for it will just insert right into your laptop or desktop as its replacement system hard drive (if you’re installing one in your desktop computer, you may need to a cage or rails on which to mount it before it will fit properly in 3.5″ drive bay). Of course, replacing your system drive isn’t just that simple. If you simply stick an SSD in your computer, you won’t be able to do anything with it until you install an operating system or clone your old drive to it. Thankfully, this process isn’t overly complicated and can be completed in under an hour. 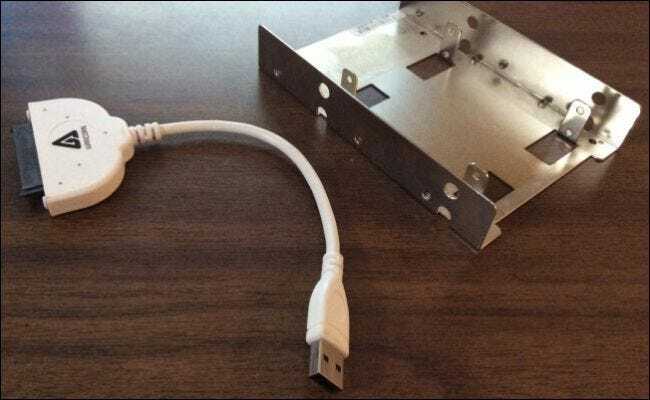 If you’re upgrading to an SSD, then you may need a cloning cable, and possibly a bracket so you can hang your 2.5″ drive in a 3.5″ slot. So, of two things we can most definitely agree, an SSD is ideal as a system drive because of their speed, and at around $99, a 250 GB capacity model definitely gets the price vs. performance vs. capacity mixture just right. This then brings us to another serious storage consideration: long term data archiving. $99 for 250 GB is a great price, but $400 for 1 TB is still a bit steep, and if you have a serious media collection, even 1 TB isn’t going to do the trick. At that point, we’re talking about terabytes and for that, you need a spinning magnetic hard drive or drives. Currently, a 4 TB hard drive can be had for around $120, and possibly less if you shop around. Expect SSD prices to continue to drop, with higher capacities slowly becoming more affordable to more people. Eventually 500 GB and then 1000 GB capacities will appear in that magic $99 range. It may take a few years, but it will happen, and then even higher capacities will follow suit. There already exists a 4 TB SSD, but at over a $5000, it is little too rich for our blood. 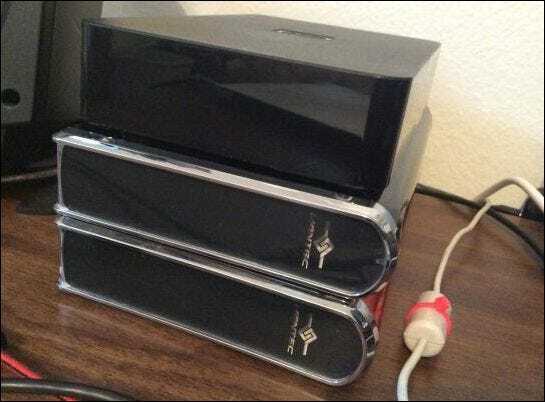 You can have one or more solid state drives as your system drive, for games, or things like A/V files, but when it comes to longterm archiving, traditional magnetic hard drives are a better choice. There is a possibility that storing your data for long periods of time on an unpowered SSD might lead to data loss. There was a considerable amount of tech press on this, but the truth is that under normal operating conditions and temperatures, SSD data loss is unlikely to happen. That said, it doesn’t mean it isn’t possible, so take that into account when squirreling away your precious files. Hybrid drives (SSHD) are exactly what the name implies, a co-mingling of a solid state and a magnetic platter drive. The idea is that the important stuff that needs to be accessed quickly is cached on the SSD part, and the other stuff you want to store is written to the HDD. To a large extent, hybrid drives have gone largely unnoticed by the public. They do continue to exist and can be found in competitive capacities (1 TB to 4 TB), but the amount of NAND storage (flash memory, i.e. the SSD part) you actually get, is usually about 8 GB. Apple has their Fusion Drive, which features a 1 TB hard disk and 128 GB solid state drive, but those are only available in Apple computers and are quite a costly upgrade. We agree that over time, the technology employed in a hybrid drive will provide an overall faster experience than a magnetic hard drive. If you’re looking to upgrade your laptop and want a faster, large capacity option, you can pick up a 1 TB hybrid drive with 8 GB of NAND storage for around $80. This isn’t going to outperform a single solid state drive and hard drive combination, but it does provide a substantial speed gain while offering a larger capacity drive to store all your stuff. Finally, you also want to make sure you back up all your data, i.e. keep it in two locations. Any hard drive can and eventually will, whether it’s 10 months or 10 years old, fail. If you have a desktop computer, you probably have room inside your case for a larger backup drive. If you have a laptop, there are external storage options, so there’s no excuse for not keeping things backed up. You can buy high capacity external drives (4 TB) for around $100, and all you do is plug them in (usually via USB) and you’re ready to store. If you have a couple of older IDE drives lying about, you can still find external enclosures to house and repurpose them. External hard drives can come with the hard drive already included, or you can buy an enclosure to house an old, unused drive you might have lying about. Also, remember with cloud storage available for pennies a day, you should consider that option as well. Just be aware, uploading gigabytes of data to the cloud can take a long time if your connection is on the slow side. That said, if you’re willing to put up with a few weeks or months of uploading (unless you’re on a really fast connection), then it’s a good investment of time and resources because once it is on the cloud, it’s there to stay for as long as you pay for the service. In conclusion, when considering a solid state storage drive, we recommend you buy as large a drive as you can afford, but when looking toward long-term storage solutions, SSDs are still too expensive and maybe (unlikely) a bit risky. 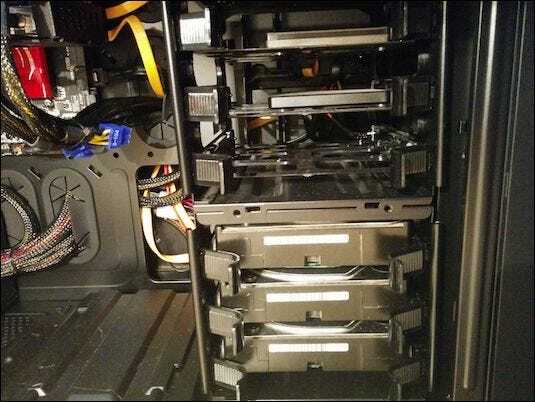 So, if you’re building a computer, or upgrading your current rig, then an SSD is an obvious choice as your system drive, but if you intend to store files for safekeeping, then it behooves you to invest in a large capacity magnetic hard drive. If you don’t have the room in your desktop, or you own a laptop, then an external or hybrid drive drive might fit the bill. Finally, remember to always keep your data in two places, whether that is two hard drives or a cloud-based solution. We would like to hear from you now, if you have any comments or questions you would like to contribute, please leave your feedback in our discussion forum.